We offer an extensive range of 2v cells in DIN and BS sizes to cover all your fork truck requirements and pride ourselves on offering quality products, excellent service for unbeatable value. One of our key strengths is availability. We keep a comprehensive range of the most popular sized cells in stock so we are able to offer a fast replacement service when necessary. In the event of needing to order from the factory, our relationship allows us to offer one of the shortest lead-times in the industry. Our partners “Ecobat Battery Technologies” are experts in their field with experienced sales and service staff that are technically minded which enables practical and accurate advice in order to fulfil your requirements. We offer replacement batteries, installed on site across the UK but are also very proud to supply OEM batteries. Since 2003 Ecobat have had the exclusive UK distribution rights to the TAB brand of cells which are manufactured in Slovenia. 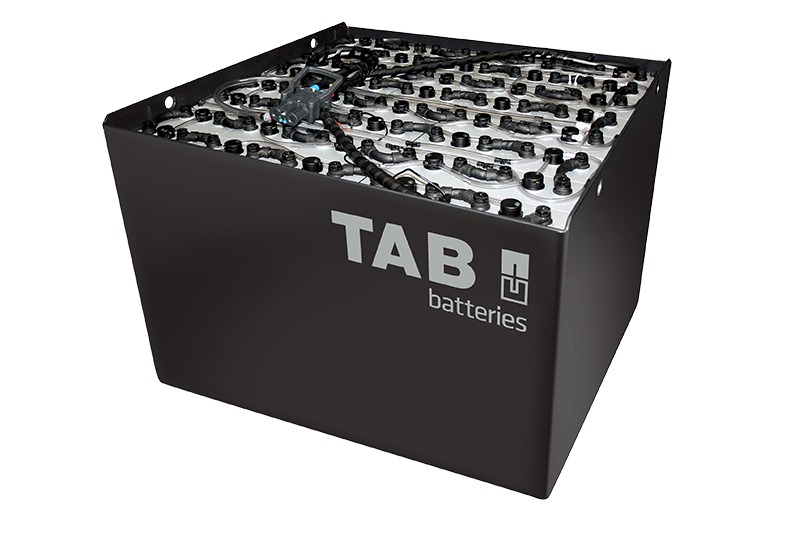 TAB is widely recognised as being one of the highest quality cells on the market. Such is the quality of the TAB product, many other well-known manufacturers have their own cells built under licence by TAB. For materials handling equipment such as forklift trucks and warehouse machinery, we offer Single Phase and Three Phase configurations to suit your application. This range of chargers are available in conventional 50Hz or High-Frequency versions. 50Hz chargers offer simplicity and reliability with a recharge range between 7-12 hrs. Our PowerPlus 2 variants can be configured with an inbuilt air pump for electrolyte circulation systems where required. High-Frequency chargers offer greater efficiency than standard 50Hz units. Green 2, Green 4 and Green 6 are the brand new range of high-frequency chargers which are suitable for wall mounting.